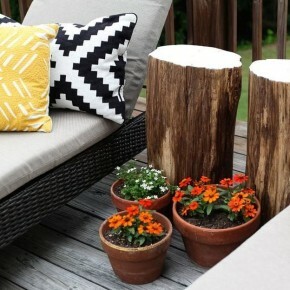 Stumps are a great material forMake your own stylish, inexpensive and completely unique furniture, because in nature there are no two absolutely identical trees. 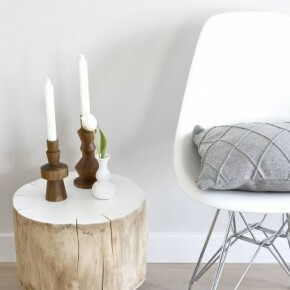 Such furniture from stumps will fit into almost any interior, whether it be light classical or country, Scandinavian style or minimalism, loft or industrial. 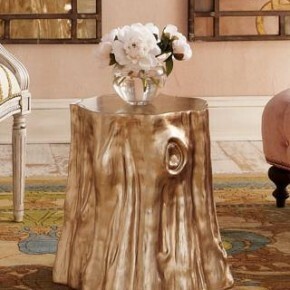 If the stump is painted in glossy or metallic hues, then even hi-tech can organically accommodate such an object. 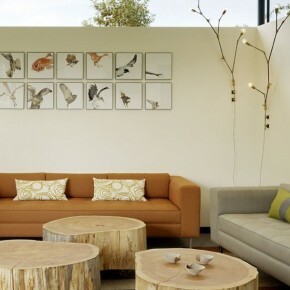 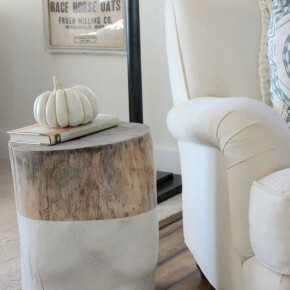 Treated saws of a tree trunk or stump can become a comfortable coffee table in the living room, a bedside cabinet in the bedroom, stools in the kitchen or a table in the bathroom. 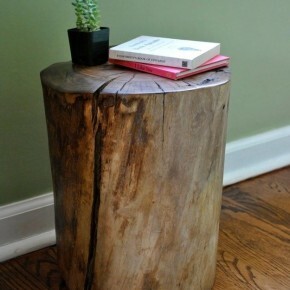 Most often in the interior, the stump is used in the role of a pedestal or table. 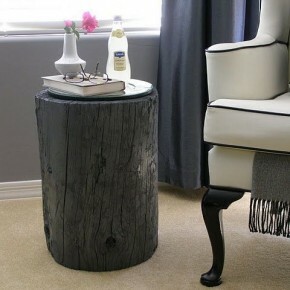 How to make a stump table with your own hands First, find the suitable stump to createA table or a curbstone. 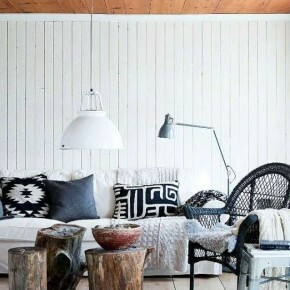 It is not so difficult even if you are a city dweller without a dacha. 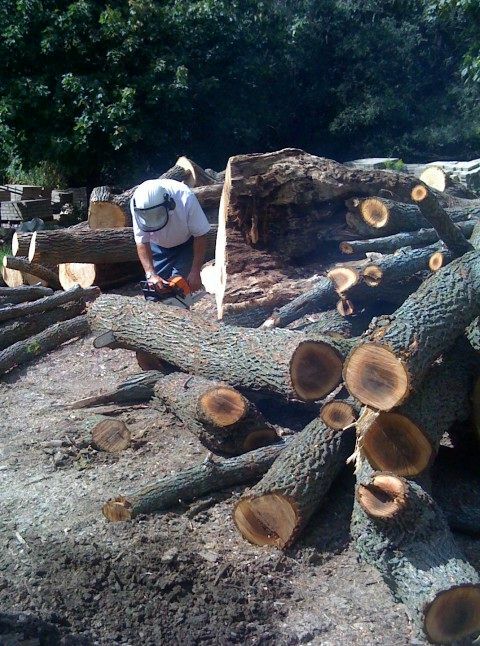 Firstly, there are a lot of companies that deal with timber - logging, sawmills and so on, you can buy from them a cut tree of the right size. 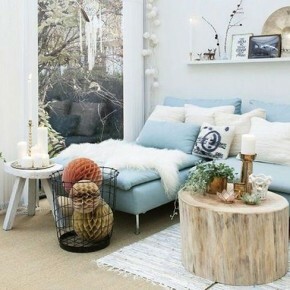 Secondly, we advise you to interview all friends and acquaintances who have dachas or relatives in the villages, they probably have logs for firewood or uprooted stumps. 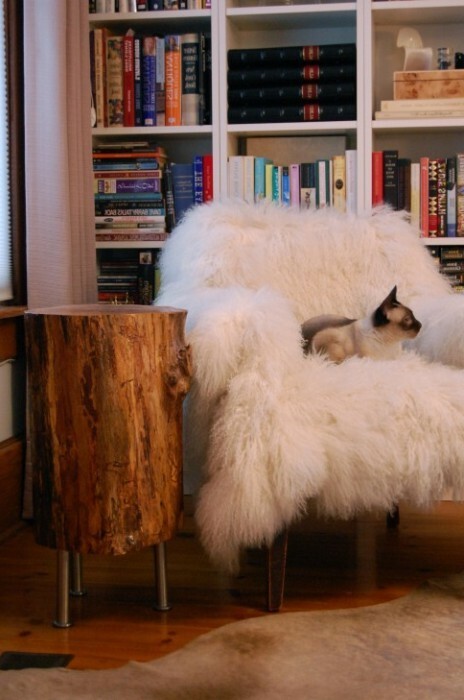 And, thirdly, you can take a saw, go to the nearest forest, find a fallen tree and cut it to pieces. 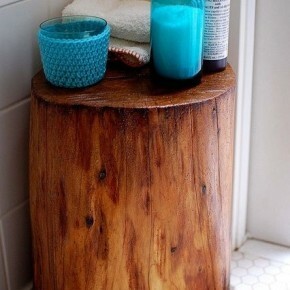 The stump should be dry, but not rotten. 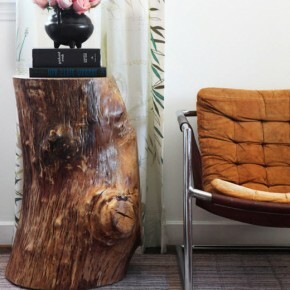 If the bark is easy enough to move away from the trunk, then such a stump can be used. 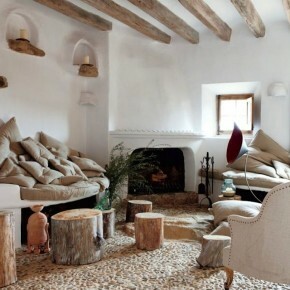 In case you have found fresh wood, you need to let it dry. 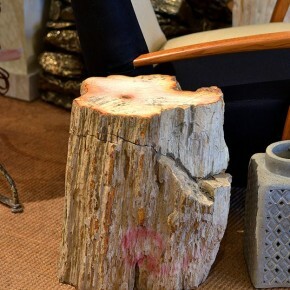 Leave such a stump for a month or two in a warm and dry room. 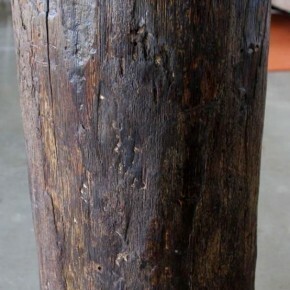 The bark must be removed from the trunk. 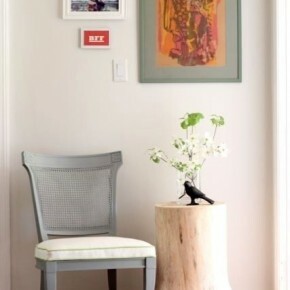 To do this, take a chisel or chisel and gently, while helping with a hammer, detach the bark. 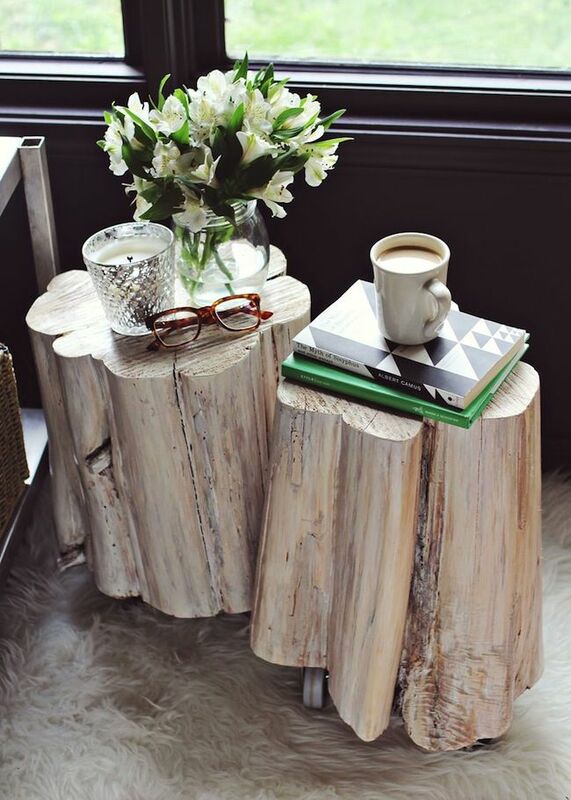 If you plan to use the stump is not easyAs a decorative decoration, but as a functional piece of furniture, it is necessary to align it. 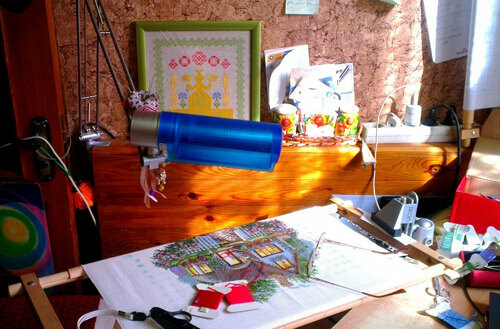 Using the building level, check how smooth your workpiece is. 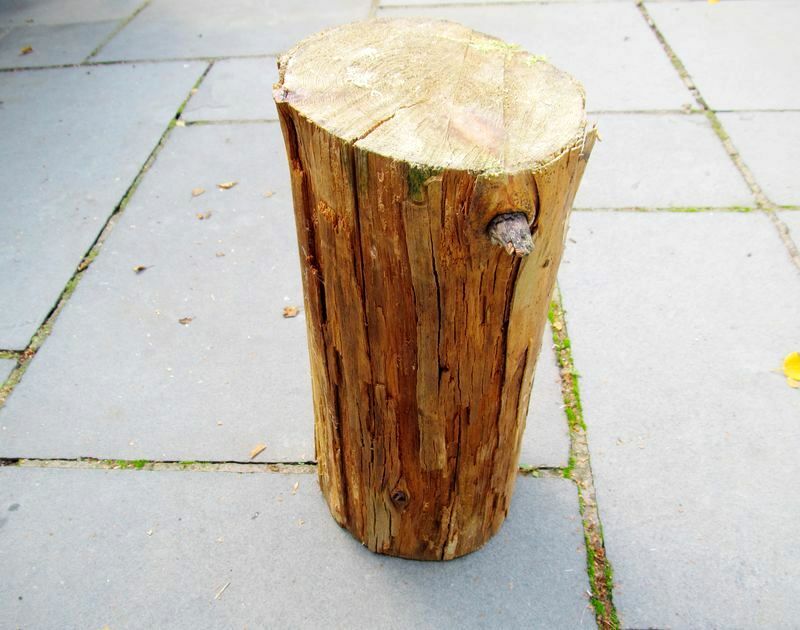 If the stump surface has a slope, level it with a plane. 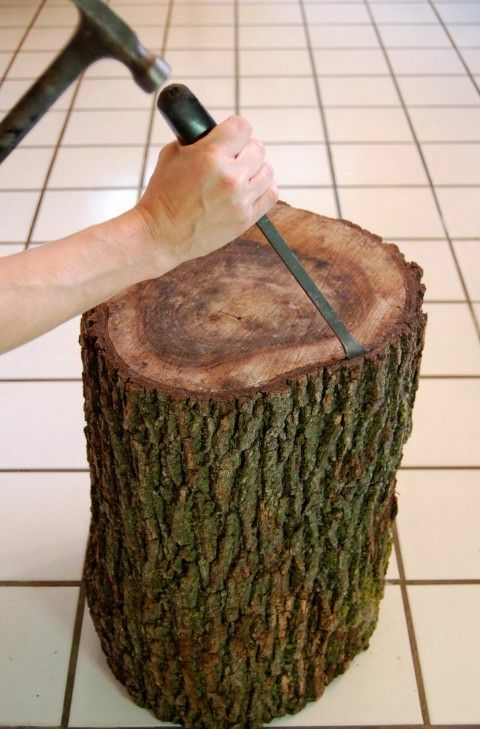 Sand the cut of the stump and sidewall with a grinder or manually sandpaper. 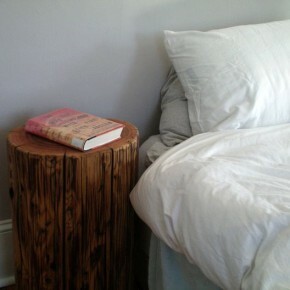 Well, if the stump has an interesting naturalThe texture with knots, cracks and chips. 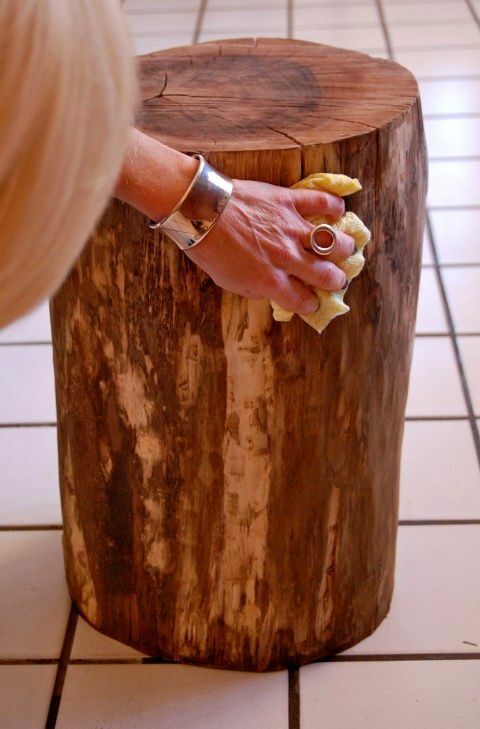 After you have processed and polished the entire surface of the stump, clean the cracks from small chips and dust. 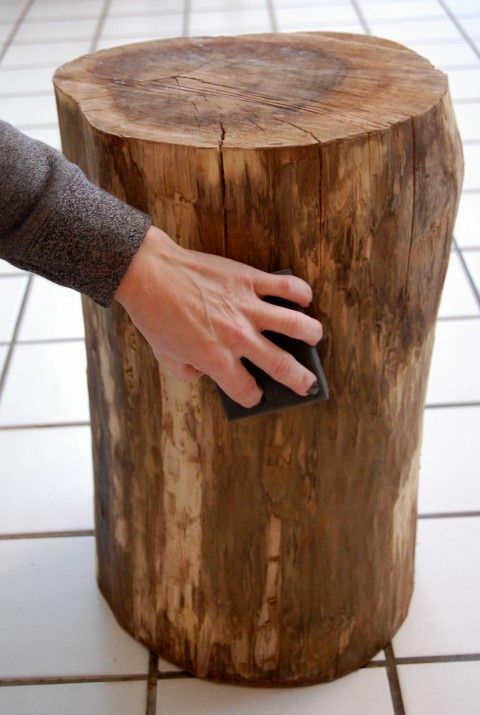 For this, you can use both locksmith tools, a rag, and a regular vacuum cleaner. 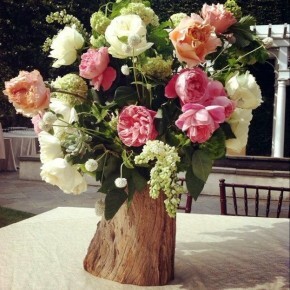 Any stump or cut of a log is beautiful in itsIn kind. 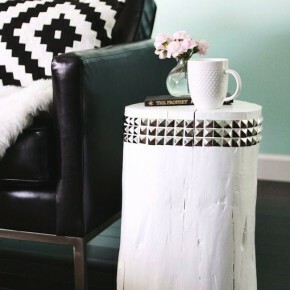 But you can paint the stump in any color (after the primer coat), apply patterns with a brush or with a stencil or, at least, open with varnish or apply water repellent impregnation for the tree. 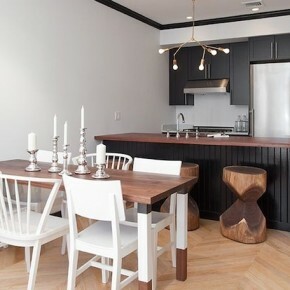 The latter is especially true if your future table is actively used in the open air or in a room with high humidity, for example, in the bathroom. 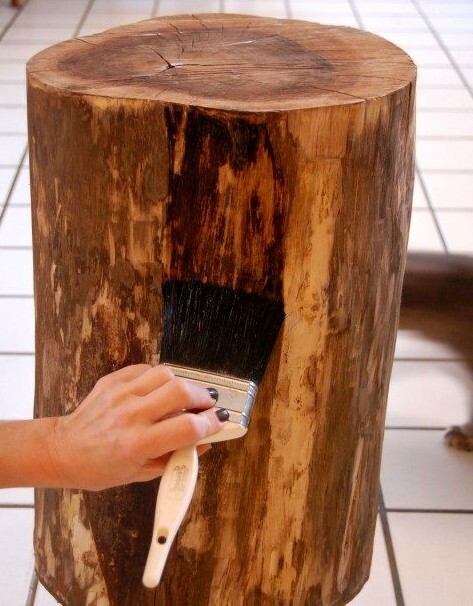 Remember that even from one layer of varnish the tree will darken a little. 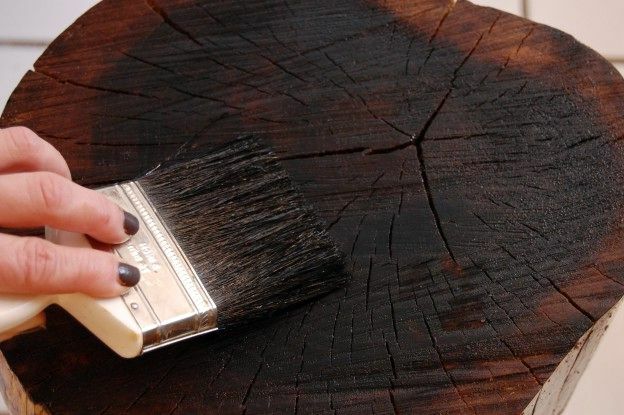 It is recommended to apply two or three layers of varnish on a water basis, and after drying the last layer, polish with a soft abrasive fiber. 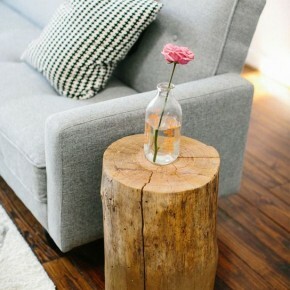 Such a table of stumps can be simply put on the floor. 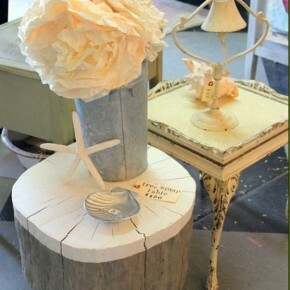 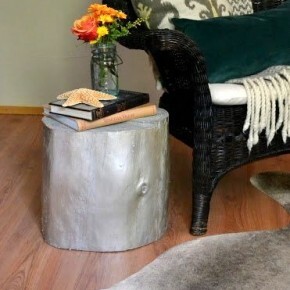 You can also use truncated legs from old tables or stools, wheels or special stands. 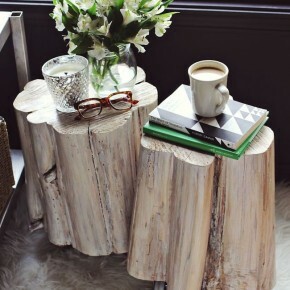 By the way, the use of legs, firstly, will protect your floor from scratches, and secondly, lift the stump and provide air circulation, which is important for the long life of such furniture. 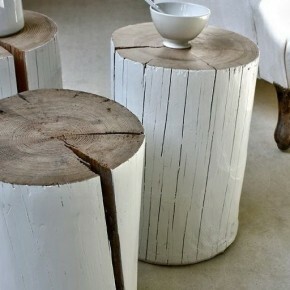 Stools and tables of stumps in the interior Look at different options for tables and tables of stumps in the interior. 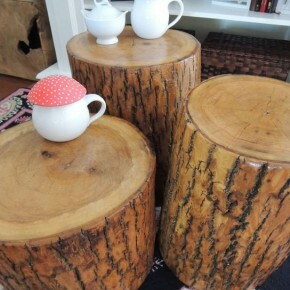 Stumps of stumps in natural form with minimal processing (click to enlarge): Stumps of stumps painted: Stools and chairs and stumps in the interior. 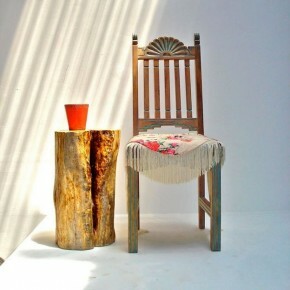 PracticallyThere is no difference between a table and a stool from a stump. 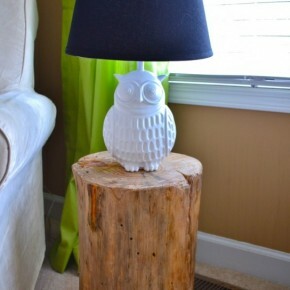 But it's obvious that sitting on a stump is not very convenient. 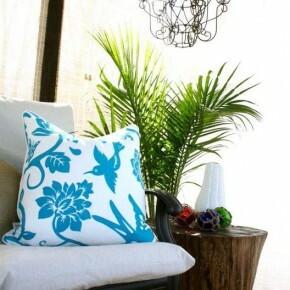 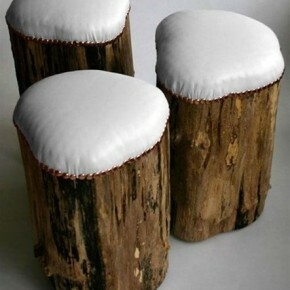 In order to make a stump a comfortable stool or footrest, you can simply put a pillow on it. 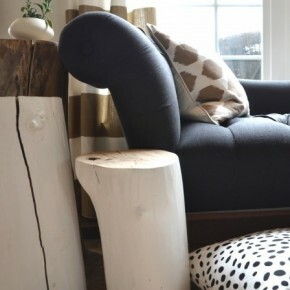 You can also make a soft upholstery with filler and attach to the surface of the log. 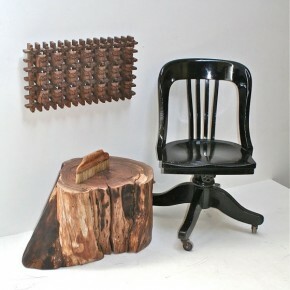 The presence of the backrest will make the stool chair even more comfortable. 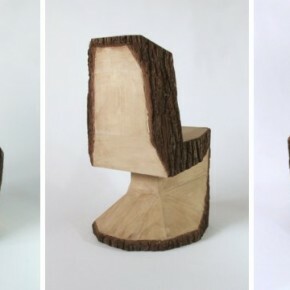 This chair designers and masters of carpentry are cut from a single piece of wood with a chainsaw followed by processing. 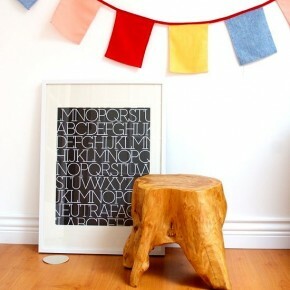 Some examples of using stumps as seats can be seen below. 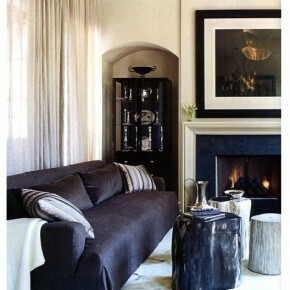 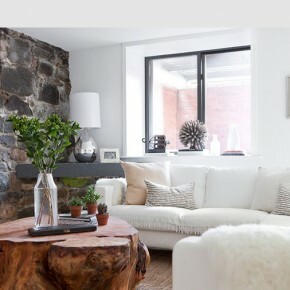 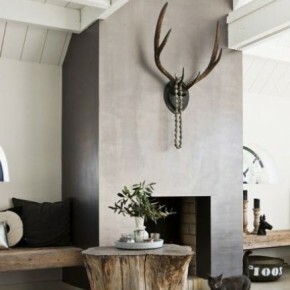 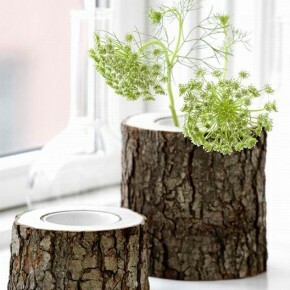 Stump vases will be an excellent addition toAny interior. 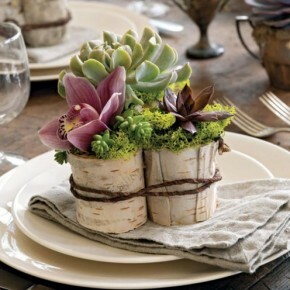 A very beautiful and harmonious look is a bouquet of real flowers or a houseplant in a flower pot or a vase of natural origin. 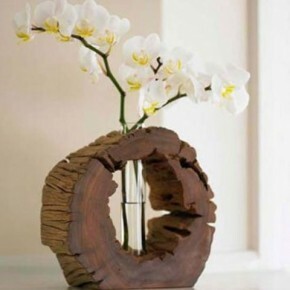 Vases often use parts of the trunk of small trees, and the tree bark in such articles is sometimes left for a more natural, natural appearance. 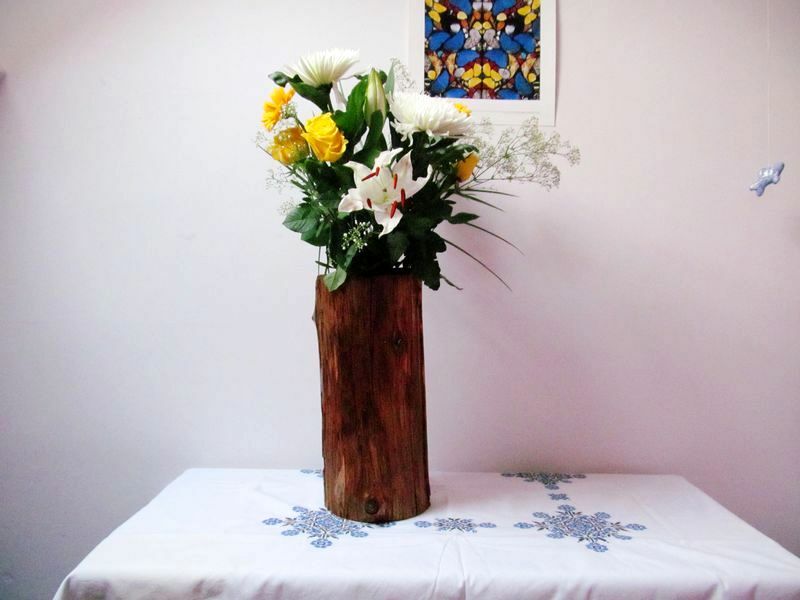 To make such a vase or pot of wood, find a suitable part of the trunk of a dry tree. 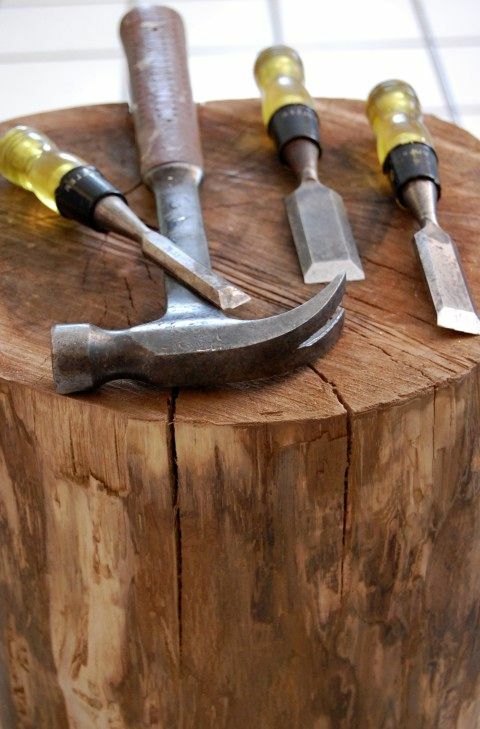 Remove the bark from the chisel or leave it. 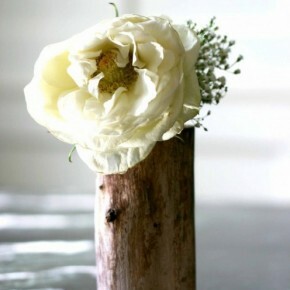 The main task of the whole project is to make a holeIn the barrel for the tank. 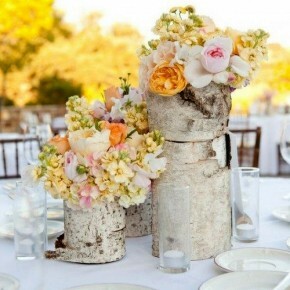 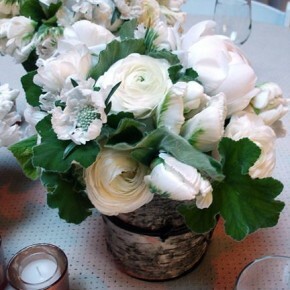 Decide what you put in the middle - a flower pot or a glass jar. 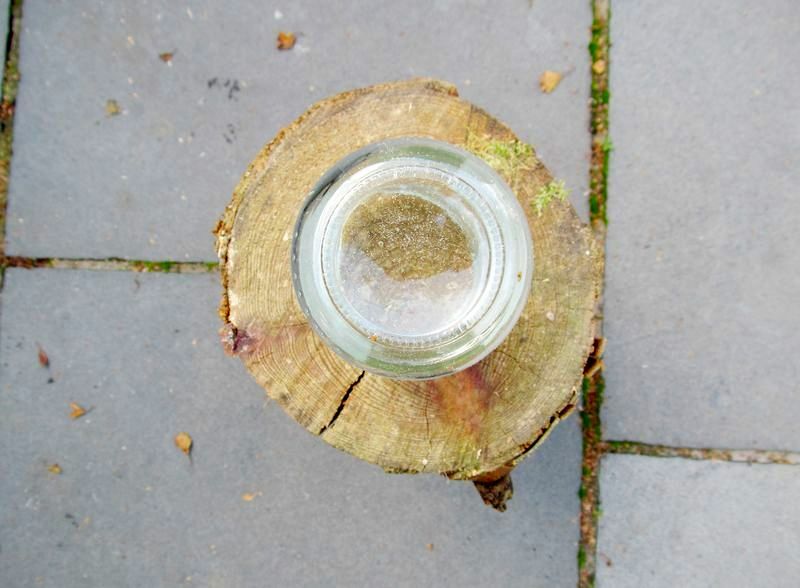 Note the circumference of the logs with a circle 3-5 mm in diameter larger than the diameter of the widest part of the container. 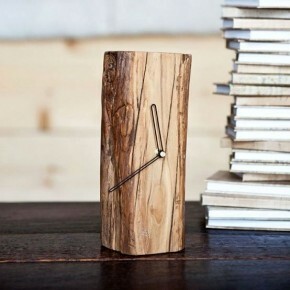 Next, you have several options for how to make a hole in a log. 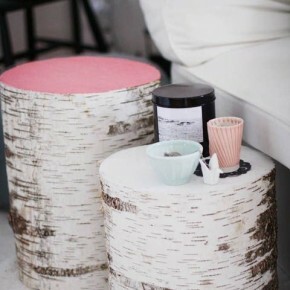 You can use a drill bit forRound holes or a circular saw for wood - quickly and conveniently, but the method is suitable for shallow holes, for small jars or candles. 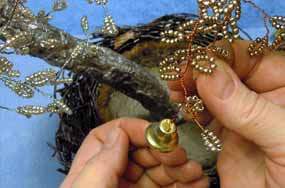 The second method is more labor-intensive. 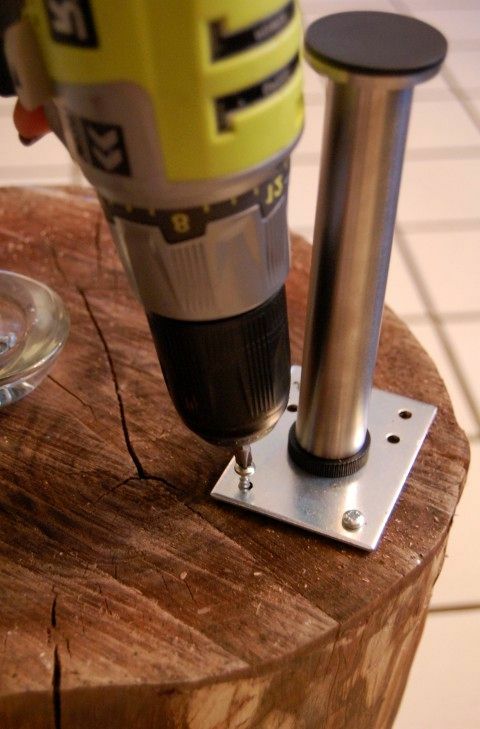 Drill a large number of holes around the circumference of the drill, and then use a chisel and a hammer to beat the core. 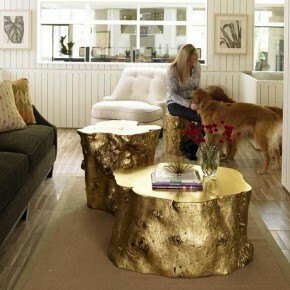 The hole will not be perfectly round and level, but any size and depth that you want. 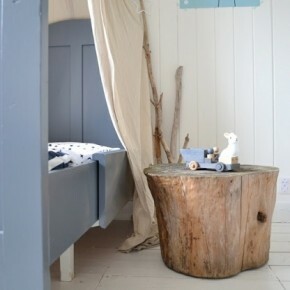 Wood can be painted, covered with aqua-varnish orWater-repellent impregnation. 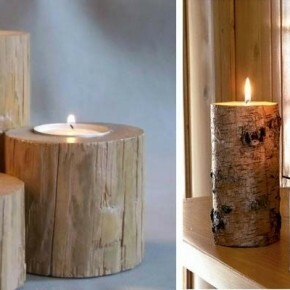 In case you use a stump as a candlestick - be extremely careful with fire. 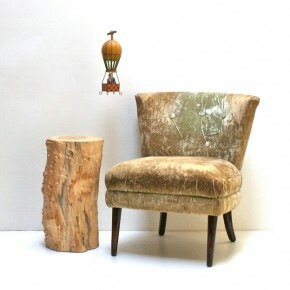 Several versions of candlesticks and vases from the trunk of the tree - below. 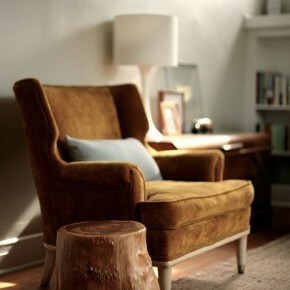 Stumps in the interior can be extraordinaryLights. 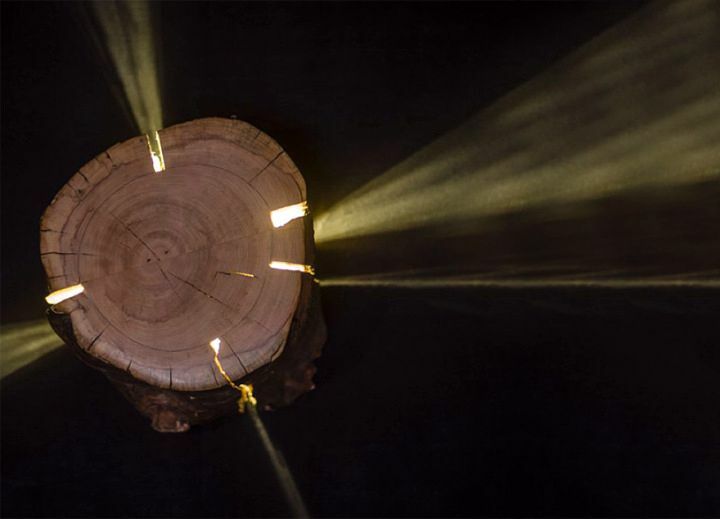 Duncan Meerding, a visually impaired designer and artist from Australia, creates unique lighting systems from wood cuts. 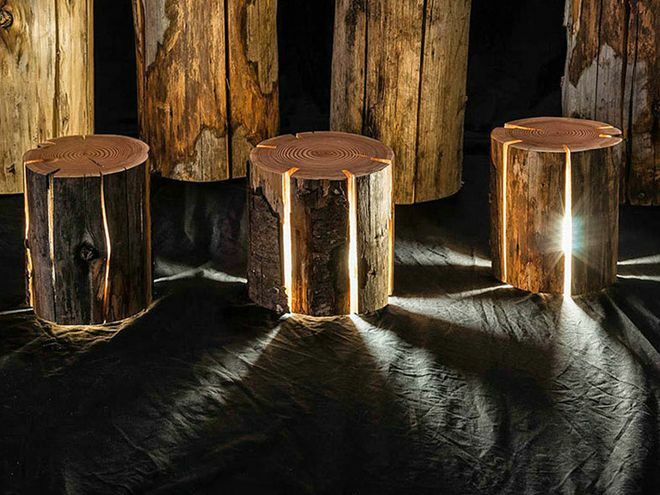 Inside the wooden block with through cracks are placed LED lamps that emit warm light. 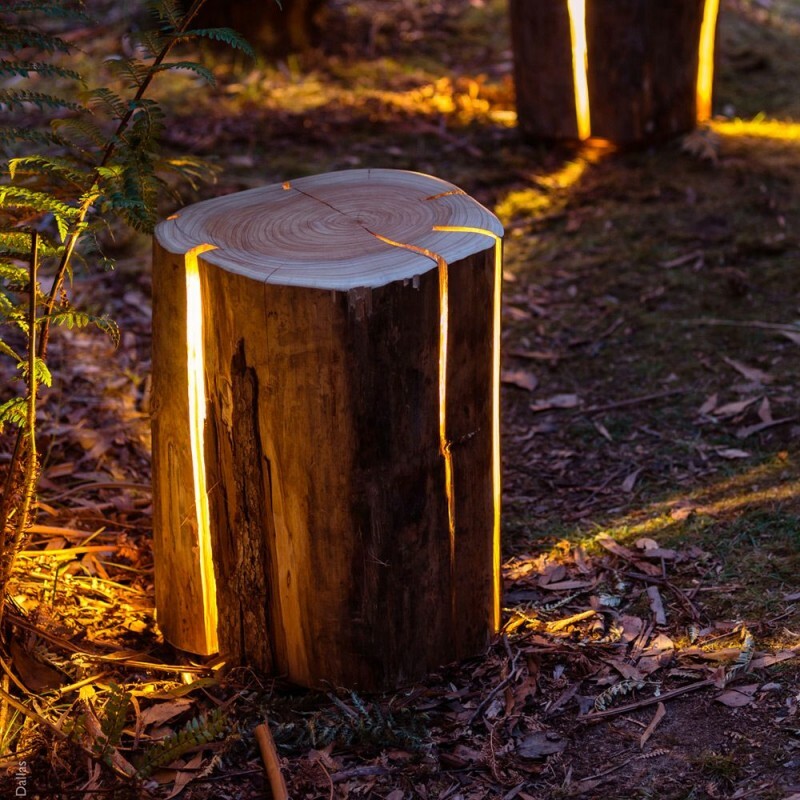 Such lights from stumps can simultaneously serve as tables, and curbstones, and stools. 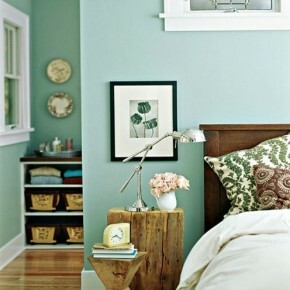 Particularly topical is the use of such a multi-functional interior in the bedroom, where muted lighting will act as a night lamp.